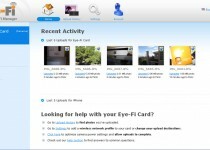 Eye-Fi is a Wi-Fi enabled SD card that enables any standard digital camera to wirelessly upload photos and videos to the web and your computer. Traditionally, one would copy photos on a memory card over to a computer, then upload images to their favorite picture sharing sites such as Flickr. The product aims to eliminate some of those steps. It’s simple, once setup properly, snap a photo and images will automatically be uploaded straight from your digital camera to just about any media sharing service. The model we were provided was the Eye-Fi Explore Video. It’s easy to customize the way your media is handled. 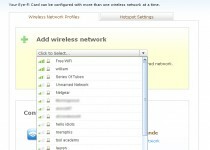 Unlike the WiFi setup, where you need to physically insert it into a computer, most of the other settings are managed through Eye-Fi’s website. The web interface allows you to view media, enable geo-tagging, view geographical locations of photos on a map, and set upload notifications. It’s easy to enable uploading to photo sharing services such as Facebook, Flickr, Picasa, and a few more. There’s support for blogging platforms including Movable Type, TypePad, and VOX. 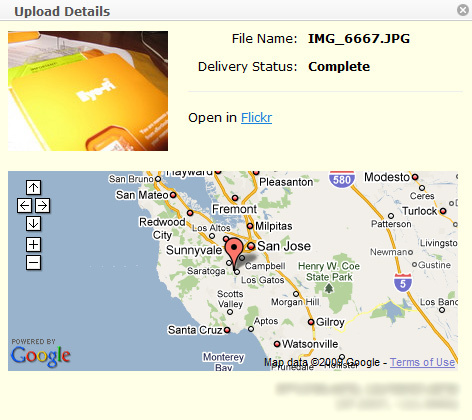 For auto-uploads to printing services, Eye-Fi supports Costco, ShutterFly, SnapFish, and Walmart. And that’s not it, there’s plenty more. 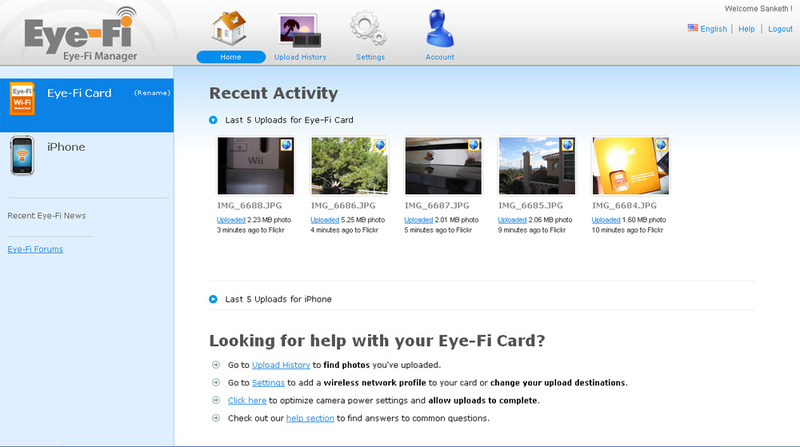 If you’re a bit of a geek, the Eye-Fi supports dropping image files straight into an FTP server and offers RSS feeds. It also downloads a copy to your computer if it has the Eye-Fi Manager installed. 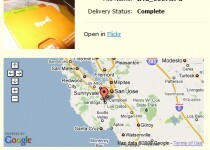 The Eye-Fi embeds geotags into all your images. Many tools such as Flickr and Google Picasa offer viewing your images on maps. Unfortunately it doesn’t work as you might expect. As expected, it’s probably not possible to fit a real GPS module into a SD card. 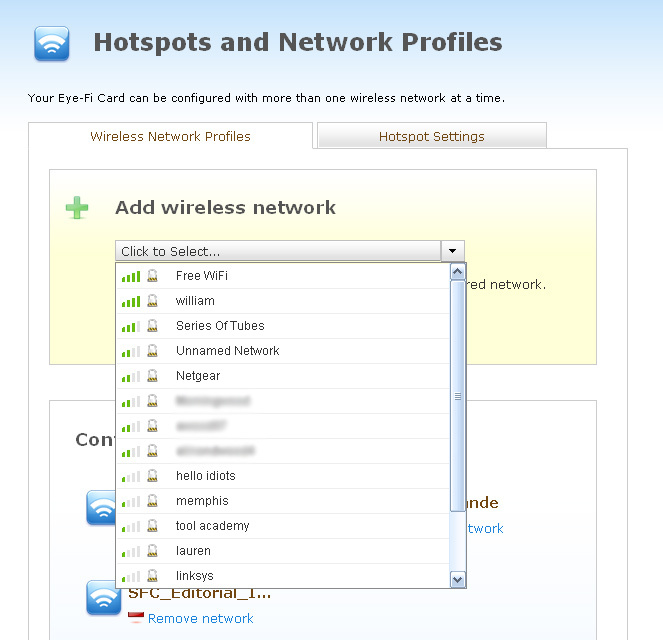 Therefore, the Eye-Fi uses WPS (Wi-Fi Positioning System) to find your location using nearby Wi-Fi networks. It works, but it’s not always entirely accurate. The company has partnered with Skyhook Wireless which has mapped out 70% of the United States with over 100 million wireless access points so the geotagging feature will work even without being connected to a wireless hotspot. As long as you are in range of a mapped wireless access point WPS should be able to get 20-30 meter accuracy of your location. From my own testing, I found that it was actually quite accurate. It was literally spot on. The card worked great, but there are some issues that need to be mentioned. Since the WiFi chip inside is so small and very low powered, it doesn’t do so well when it comes to picking signal. While photos transferred rapidly when near an access point, it wouldn’t work as far away as other WiFi enabled devices did. For example, my laptop and mobile phone were able to connect to my access point, but the Eye-Fi card in my camera wasn’t able to get signal from the same spot. Another issue I faced was in regards to convenience. If you want to connect to a new secured access point, you’ll need to have a computer with you. Since it’s simply an SD card, your camera won’t have an interface to customize those settings. If you primarily use it in one location or happen to visit those compatible hotspots quite often, then it won’t be an issue. As I mentioned before, there’s no interface on the camera to manage the Eye-Fi. The camera will only handle the image files. Therefore, there’s no indicator to let you know the status of upload progress. That means you won’t know when to turn your camera off. If you do turn it off during an upload, it will get interrupted, but will resume uploads once turned on. To slightly solve that issue, Eye-Fi provides the ability to receive Email notifications and SMS alerts for when uploads begin, get interrupted, resumes, or finishes. You can also opt-in to receive Twitter Direct Message notifications for the same actions. The only other way to view a live progress bar of uploads is if you are in front of your computer screen while snapping photos. 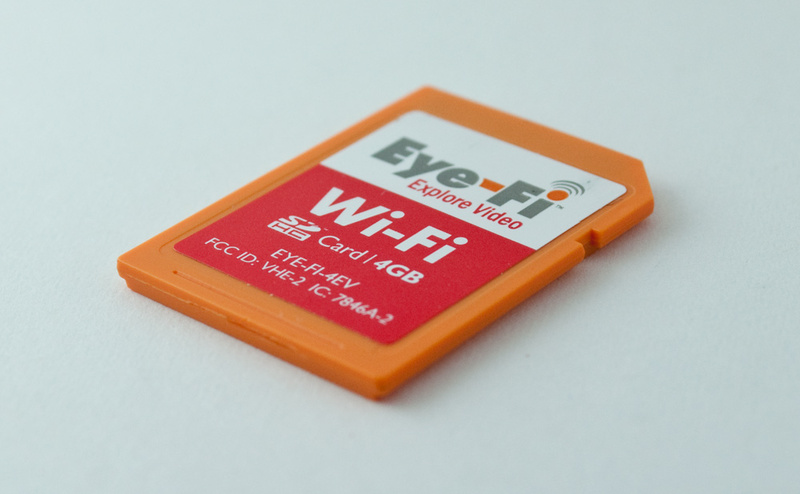 For the most part, the Eye-Fi can minimize the hassle of sharing and saving media. But it’s still a proprietary technology even though it uses a standardized WiFi network. It’s especially great for those who take a lot of photos in only a few locations. However keep in mind, you’ll likely find yourself coming back home to upload photos on your own network after a party since there’s no way to configure a secured network elsewhere without a computer. While it might sound like a niche market, that’s going to soon be changing. Devices such as Sony’s Cyber-shot DSC-G3 have built-in WiFi and supports uploading to a similar variety of online uploading services. If other manufacturers start following that trend, which we might see this year at the 2010 Consumer Electronics Show, it’s hard to tell what it would mean for Eye-Fi since there wouldn’t be a need for their WiFi SD card. However, the fact remains, not everyone is going to go buy a new WiFi camera immediately and there’s no other way to enable WiFi for an existing camera with a gizmo such as the Eye-Fi. While I reviewed the Explore Video model, there’s also 7 other offerings. Prices start at $50 for the lowest end version that can only upload photos to your own computer and has just 2GB of storage. Their best offering is the Pro version ($119) that offers all the same features that the Explore Video does, but adds extra support for RAW file uploads and Ad Hoc networks for professional photographers. If you have a decent camera, take a lot of photos, and don’t plan on upgrading anytime soon, the Eye-Fi will definitely go a long way to add a new refreshing feel to your current device.